Enjoy the cool, ocean breezes and breathtaking views from this front corner room at our historic Melbourne Beach lodging. Overlooking Atlantic Street, the magnificent, beamed ceilings, French doors and double balconies make this accommodation a truly romantic Florida getaway. This newly renovated guest room includes a charming sitting area that opens onto the wide sunny deck and a beautifully appointed bedroom with luxurious 4 poster mahogany, king-sized bed dressed in the finest European linens and topped with a down duvet and fluffy pillows. The marble bath has a relaxing rain shower with pampering body sprays. Traveling with friends? 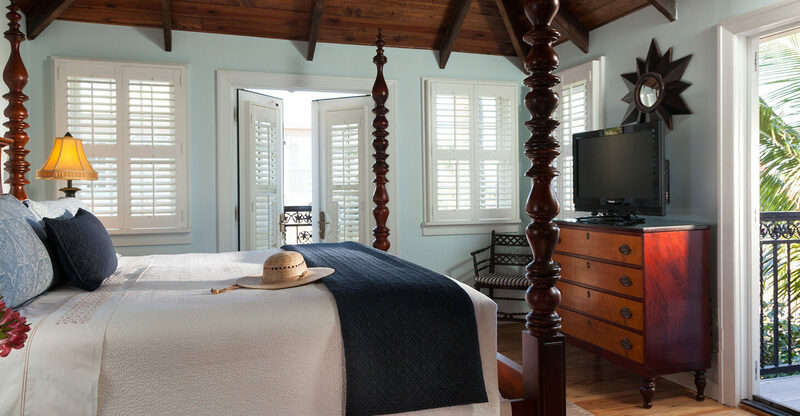 Ella Belle and Walter’s Rooms in the historic main house are perfect for a party of four because they are connected via the second floor ocean view wraparound porch. 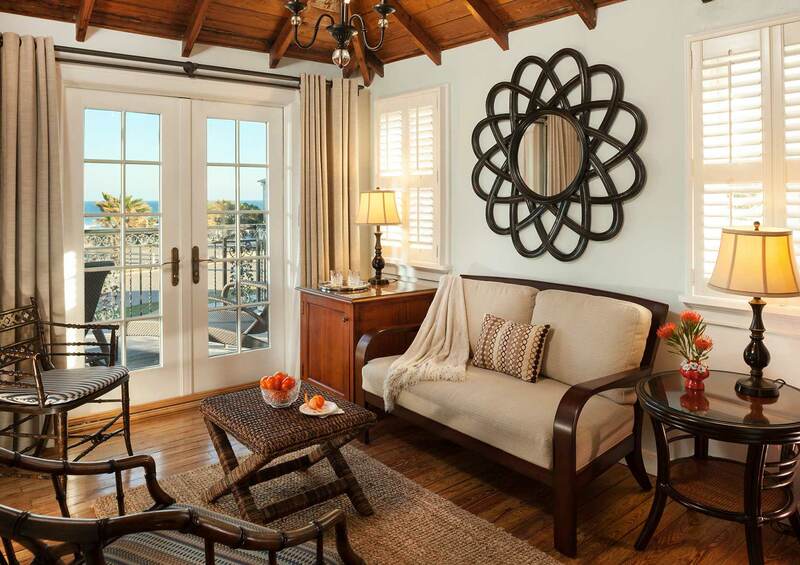 These are the only guest rooms in the main house and they share the spaciously comfortable ocean view sun deck. Interior Space: 325 sq. 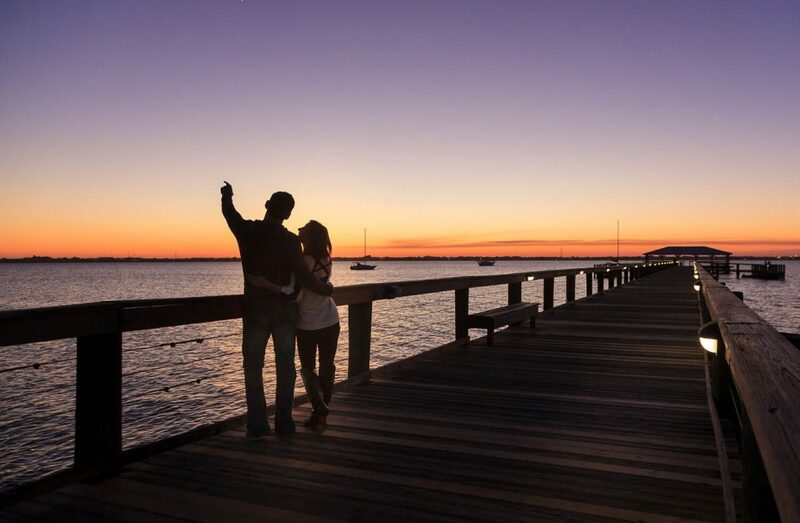 ft.
Visit the Kennedy Space Center (2 tickets included) then enjoy a romantic dinner for two at one of Melbourne Beach’s finest restaurants, come back to your room relax and watch Apollo 13, Gravity or The Martian on your flat screen tv and take the DVD home as a gift.